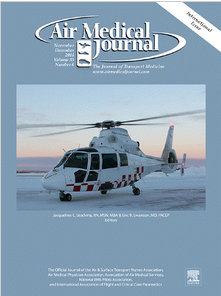 Air Medical Journal presents peer-reviewed clinical and scientific articles dedicated to advancing the knowledge base of air medical transport professionals as well as industry news, daily practice and health care issues, legislative updates, profiles of air medical transport programs, and aircraft safety and operations issues. Topics have included emergency medical care, equipment, helicopters, ambulances, etc. peer-reviewed articles and original research across the broad field of infection prevention, control and epidemiology, including quality management, occupational health, patient safety, and disease prevention. The journal also ublishes recommended practices, guidelines and policy commentary for infection prevention and control from APIC and its collaborating organizations. Applied Nursing Research is a refereed research journal that advances nursing as a research-based profession and bridges the gap between nursing research and practice. Applied Nursing Research presents nursing research in a clear, straightforward style to empahsize results and encourage readers to apply research findings to their own practices. Archives of Psychiatric Nursing disseminates original, peer reviewed research that is of interest to psychiatric and mental health care nurses. The field is considered in its broadest perspective, including theory, practice and research applications related to all ages, special populations, settings, and interdisciplinary collaborations in both the public and private sectors. Clinical Simulation in Nursing is an international, peer reviewed journal published online six times annually. Clinical Simulation in Nursing is the official journal of the International Nursing Association of Clinical and Simulated Learning (INACSL) and reflects their mission. The journal promotes collaborating, mentoring, and networking for the advancement of nursing and health care education and practice through simulation and technology Integrating teaching strategies developed from simulation and technology. With articles on advancing nursing and health care through education, research, and the use of simulation and technology to enhance patient-centered care. 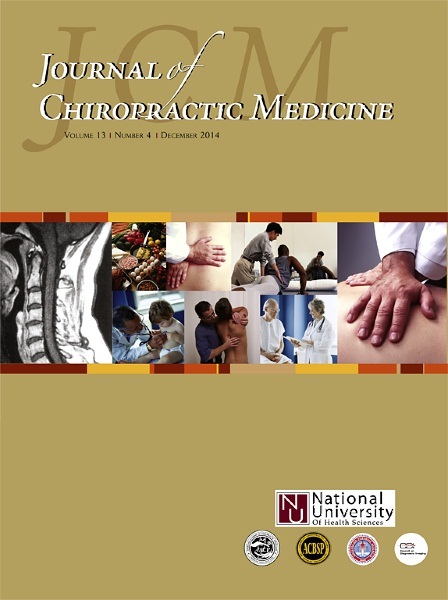 The Journal of Chiropractic Medicine is a peer-reviewed journal devoted to providing a forum for the chiropractic profession to dissemate information dedicated to the developing primary care emphasis within the profession. The journal focuses on providing practical and applicable information for the practicing doctor of chiropractic medicine. JNP provides a valuable resource for nurse practitioners seeking to stay current with the clinical and policy concerns affecting their day-to-day practice. In addition to peer-reviewed clinical articles and original research, JNP features continuing education opportunities, news from AANP, and commentary on pressing legislative, regulatory, and clinical practice issues. JMPT is dedicated to the advancement of chiropractic health care principles and practice. 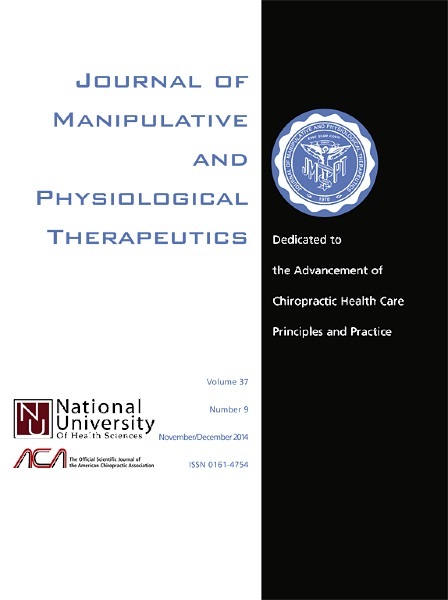 JMPT is the premier chiropractic journal and is indexed in Index Medicus. A multidisciplinary board ensures that subscribers get the latest information on current developments in therapeutics, reviews of clinically oriented research, and practical information to use in clinical settings. The Journal of Emergency Nursing is highly acclaimed by emergency nurses, nurse managers and emergency departments. As the official peer reviewed journal of the Emergency Nurses Association (ENA), the Journal reaches the greatest number of emergency nurses, emergency/trauma departments and emergency department managers of any journal. The journal is always expanding its coverage of the practice and professional issues, based on current evidence, that challenge emergency nurses every day. It features original research and updates from the field. 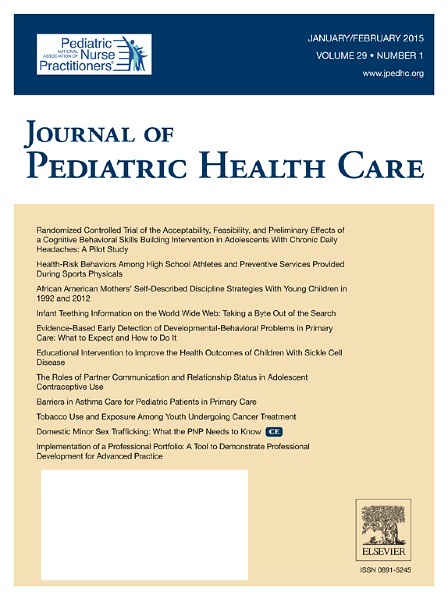 The Journal of Pediatric Health Care is the leading nurse practitioner journal for the care of infants, children, adolescents, and young adults. The pediatric nurse practitioner (PNP) is consistently recognized within the current health care system as a primary care provider, especially in well-child and acute illness settings. As the official journal of NAPNAP, the Journal of Pediatric Health Care publishes original, peer reviewed articles on clinical topics, health policies, and critical issues relevant to the expanded role of pediatric nurses and nurse practitioners in primary care. 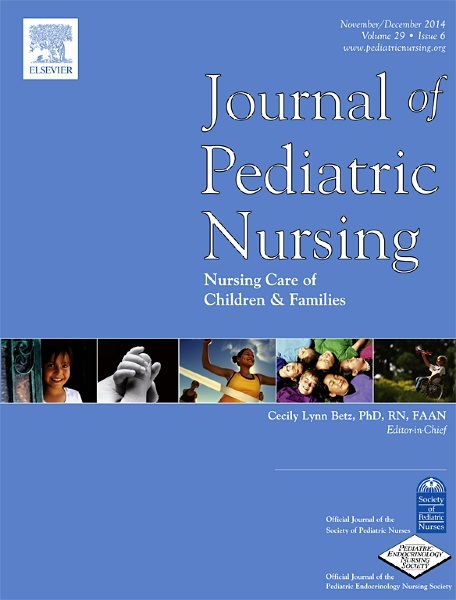 The Journal of Pediatric Nursing: Nursing Care of Children and Families (JPN) publishes clinical, theory, programmatic and research papers on a variety of topics. JPN is the official journal of the Society of Pediatric Nurses and Pediatric Endocrinology Nursing Society. Papers cover the life span from birth to adolescence. 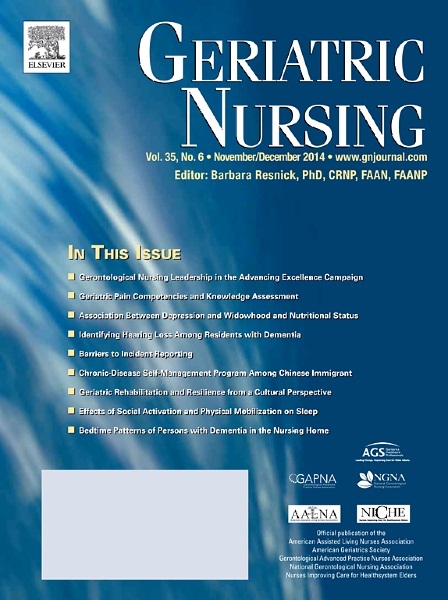 Articles address nursing care and biopsychosocia needs of healthy and ill infants, children and adolescents. In addition, the Journal features	regular columns about Child Health	Policy, Clincial Practice, Hot Topics, Research Commentary, Technology, SPN and PENS News. Selected articles exemplifying timely topics are in the Editor's Choice selection. 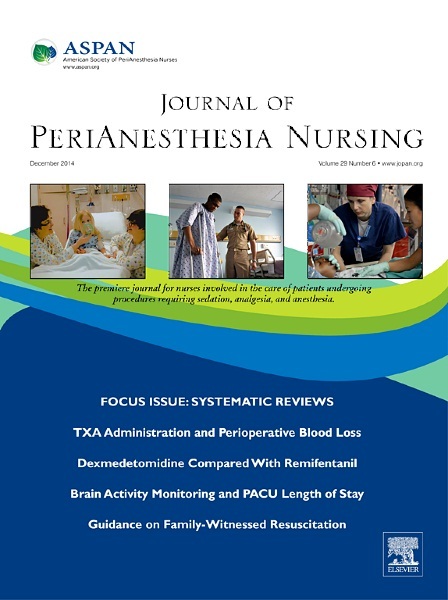 The Journal of PeriAnesthesia Nursing provides original, peerreviewed research for a primary audience that includes nurses in perianesthesia settings, including ambulatory surgery, preadmission testing, postanesthesia (Phases I and II), extended observation and pain management. The Journal provides a forum for sharing professional knowledge and experience relating to management, ethics, legislation, research, and other aspects of perianesthesia nursing. Journal of Radiology Nursing supports the core mission of ARIN to foster the growth of nurses who advance the standard of care in the imaging enviornment. 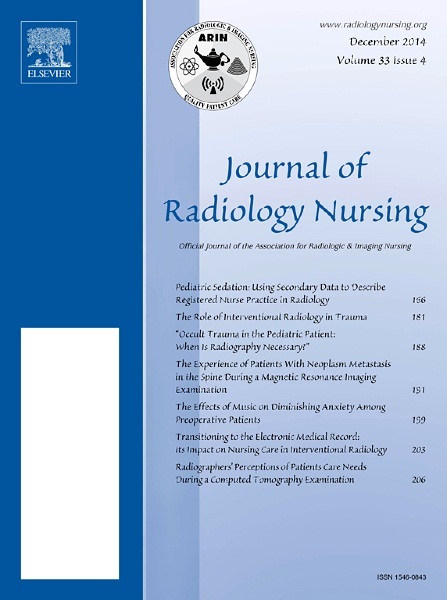 Designed as a forum to share knowledge and experiences pertaining to radiological nursing, the journal includes areas of education, administration, research, patient care, and case studies. Topics include instructional radiology, MRI, sedation, pediatric and geriatric populations. Journal of Vascular Nursing provides clinical information regarding aortic and peripheral aneurysms, upper and lower extremity arterial disease, acute and chronic venous disease, and more. Topics include ... blood clots, deep vein thrombosis (DVT), phlebitis, varicose veins, stroke, vascular deureutia and diabetes. Original, peer reviewed articles present descriptions, diagnostic procedures, medical and surgical treatment. Nurse Leader provides the vision, skills, and tools needed by nurses on the leadership learning curve whether the nurse is an administrator making the transition from management to leadership or an established leader who seeks to take their skills and experience to a higher level. This easy-to-read journal pulls together insights from a broad spectrum of successful management and leadership perspectives and tailors the information to the specific needs of nurses. Regular features include Leader to Watch, highlighting a rising star in the field, and The Coaching Forum. Nursing Outlook reaches the nation's nursing leaders in practice, education, research, management, and policy making. The journal's articles are written by the nursing thought leaders across all disciplines and practice settings and help provide the vision for nursing's future. Nursing Outlook readers work in hospitals, ambulatory/outpatient clinics, home health care, HMO's, and academic settings. They influence policy at all levels and shape health care practices for the benefit of the public. This peer-reviewed journal offers a unique focus on the realm of pain management as it applies to nursing. As the official journal of the American Society for Pain Management Nursing, the journal is dedicated to promoting optimal care of patients with pain. Original and review articles offer key insights in the areas of clinical practice advocacy, education, administration, and research. Additional features include practice guidelines and pharmacology updates. Pain Management Nursing is indexed in Index Medicus. Seminars in Oncology Nursing presents recent developments and current practice information in cancer nursing in a review format. Each issue focuses on a single topic and keeps readers abreast of the latest innovations, research findings, applications, and methods in the field. The single-topic format provides a venue for you to showcase your products and services at a time when the reader is already focused on the subject. Sponsored supplements also offer an opportunity foryou to present additional information of interest to the readers. 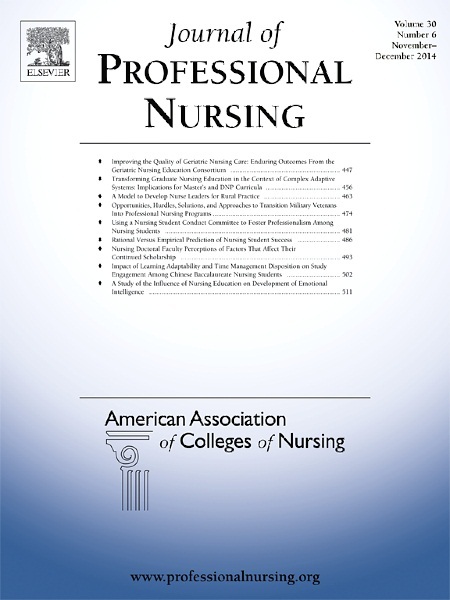 Teaching and Learning in Nursing is the Official Journal of the National Organization of Associate Degree Nursing the nationally recognized voice for Associate Degree nursing. 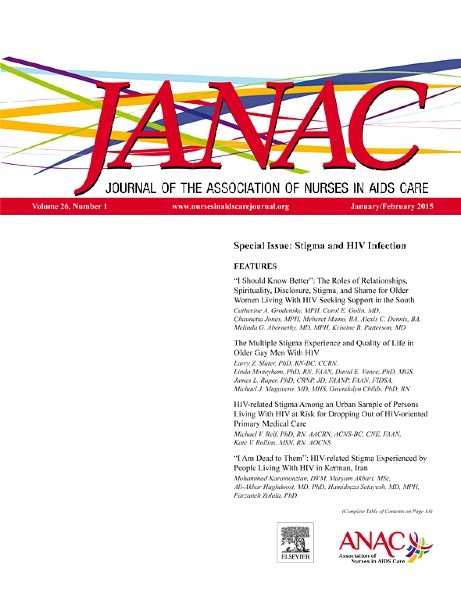 The journal is dedicated to the advancement of Associate Degree Nursing education and practice, and promotes collaboration in charting the future of health care education and delivery. Reaching faculty, students, and nurses in management roles, it addresses issues around advocacy, diversity, communication and quality of patient care. Today's Hospitalist is the leading source of practical information for hospital medicine, the fastest growing specialty in the U.S. The articles in Today's Hospitalist are designed to help hospitalists face day-to-day issues they see in their practice, from practice management to clinical medicine. Regular departments include Q&A: spotlight on thought leaders, Marketplace: new products and services.Profile: interesting people in hospital medicine, Practice trends: business of medicine for hospitalists, compensation and productivity, Conference coverage: clinical news specific to inpatient medicin, What Works: success stories in the hospital. Wilderness & Environmental Medicine, the official journal of the Wilderness Medical Society, is the leading journal for physicians practing medicine in austere environments. This quarterly journal features articles on all aspects of wilderness medicine, including high altitude and climbing, cold- and heat-related phenomena, natural environmental disasters, immersion and near-drowning, diving, and barotrauma, hazardous plants/animals/insects/marine animals, animal attacks, search and rescue, ethical and legal issues, medicine in remote environments, operational medicine, and wilderness trauma management.